A traveler with a backpack and a camera walks along a mountain path and takes beautiful mountains. 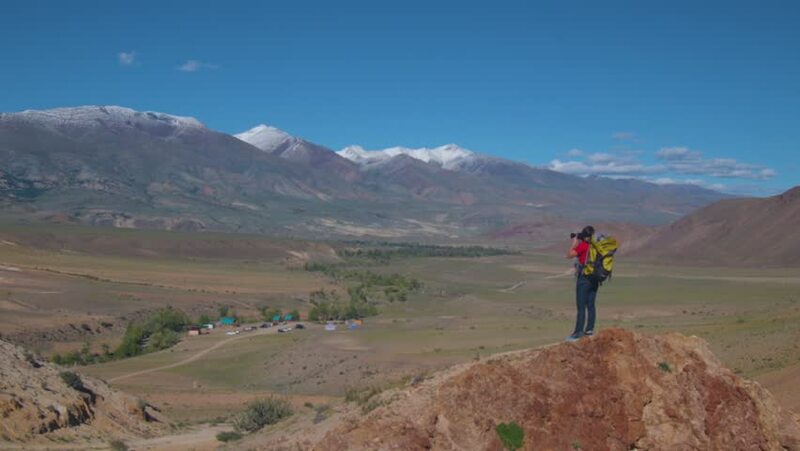 4k00:19A woman with a backpack travels in the summer in the mountains. 4k00:18Traveling in the mountains is a real happiness. 4k00:24A woman with a backpack and Swedish sticks wins a beautiful mountain.